The State Corporation Commission (SCC) has ordered Dominion Virginia Power to make various financial and accounting adjustments to ensure that customers continue to pay fair and reasonable rates for electric service. The SCC directives come after a review of the rates charged by the state’s largest electric utility, as required by Virginia law, for calendar years 2011 and 2012. 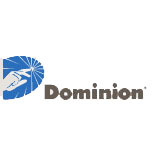 Dominion Virginia Power’s base rates will be reduced slightly since three demand-side management programs are no longer offered by the company. Other decisions set forth in the SCC’s final order become the basis for the next biennial review for calendar years 2013 and 2014. A determination that Dominion Virginia Power earned, on average, a return on equity of approximately 10.25 percent on its generation and distribution services. The company was authorized a minimum return of 10.4 percent. Thus, the company experienced an under-recovery of approximately $22.7 million, an amount that will be recognized in the next two-year financial review as a 2013 accounting adjustment. A determination that the new return on equity (ROE) for Dominion Virginia Power is 10 percent. The Commission considers that return “fair and reasonable to the company, permits the attraction of capital on reasonable terms, fairly compensates investors for the risks assumed, enables the company to maintain its financial integrity,” … and is in line with other peer group investor-owned electric utilities. The 10 percent ROE serves as the baseline for the next financial review of earnings for 2013 and 2014. A determination that Dominion Virginia Power requires approximately $4.87 billion in annual revenues to recover its cost of service and earn a fair return. While the company’s current rates are projected to produce more than that annual amount, by law, any rate adjustment must await the results of future biennial reviews. A determination that base rates should be reduced to account for three discontinued demand-side management programs. Since the costs of these programs have already been recovered, existing base rates can be lowered by approximately $7.9 million. The impact on the bill of an average residential customer is approximately 11 cents per month, or $1.32 annually. Numerous other changes or withdrawals of tariffs, terms and conditions of service were decided as part of this case. The company has been directed to file revised tariffs to comply with the directives set forth in the Commission order.